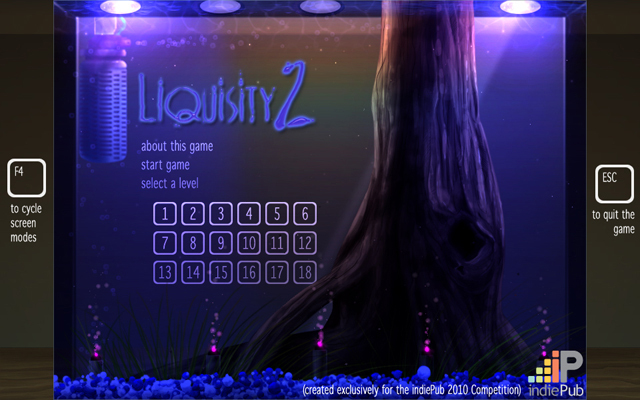 Freeware – Vertigo Gaming Inc.
Set in an array of various aquariums, Liquisity 2 has you firing a ball from a water cannon into a goal spanning eighteen levels. Guide the ball using the arrow keys, watch out for spikes and other obstacles, and enjoy the soothing mood and sounds that only an aquarium can bring. In just a few short hours, the President is set to give his big speech in our small city. But the problem is we’ve been desperately trying to tear down a building near the speech site that’s a hazard, eyesore, and quite honestly could collapse at any moment. Gah, there’s hardly any time to get the city ready for the President’s visit! Quick, combine items around the city and try to find a way to tear down that building…and while you’re at it, maybe you could fix up a few things around this city too? 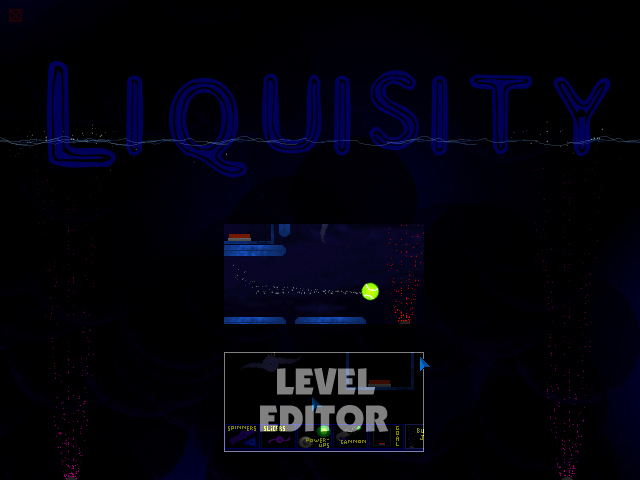 Influenced by great games such as Jumper and Thrust, Liquisity is an underwater platformer of a different kind. 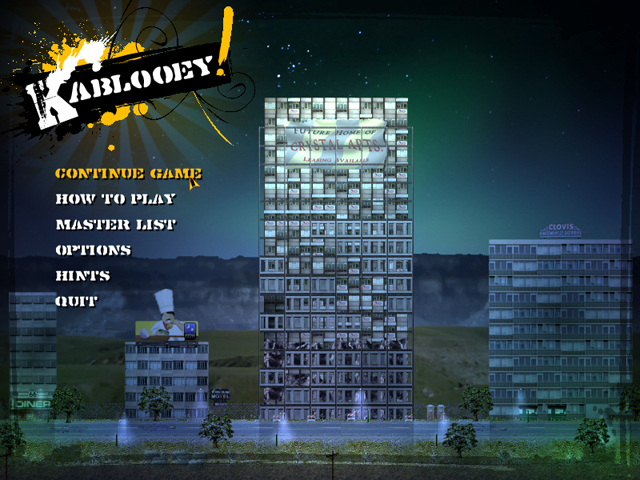 Shoot the ball into the box to complete the level, while having full control of the ball itself. Use tools such as jets, bouncers, and switches to guide yourself into the goal. 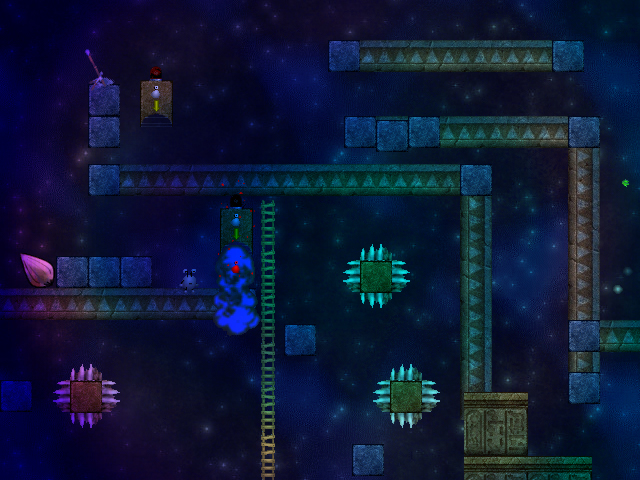 There are multiple solutions for each level, so keep trying if you can’t seem to get it the first time! Set on an old abandoned stage in the middle of a barren desert (San Aruba), the natives of the land put on a play in an ancient amphitheater once every year. It is called “The Winter Solstice”, a six act play that progresses through the winter season that never comes to San Aruba. It is a joyful time, full of festive music, fireworks and lights. With each passing year as the weather grows hotter and dryer, the local culture and theater is slowly disappearing…but the old play will never be forgotten, handed down to many generations for the years to come. 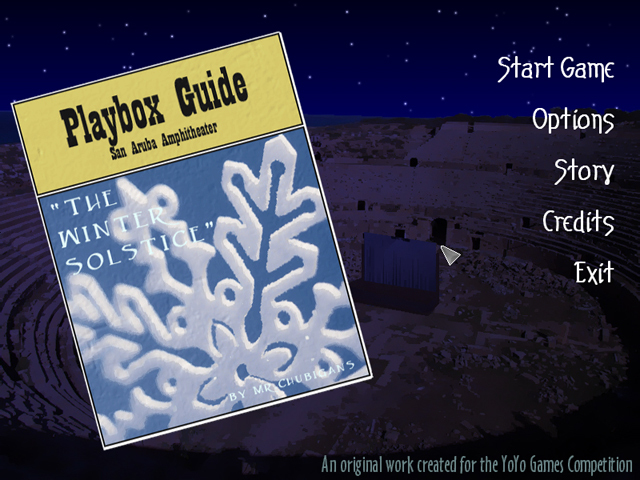 Jump into the play and create a show that no one will soon forget, full of action and intense challenge. Can you do justice to the old tradition? Way back in the ol’ Playstation days, I would gobble up demo discs from my Official Playstation Magazine as they’d be fantastic time wasters during the long summer months. A few of them had special “import” sections that gave a sneak peek into Japan games that would never make their way to the states, and one of them was the Ore no Ryouri demo, which turned your analog sticks into chef hands of fury. I was addicted to the crazy pace of the game, even though it was entirely in Japanese and I couldn’t make out any of the menus. But it was a game I had never played before, and after searching the internet found that there wasn’t really anything like it either. 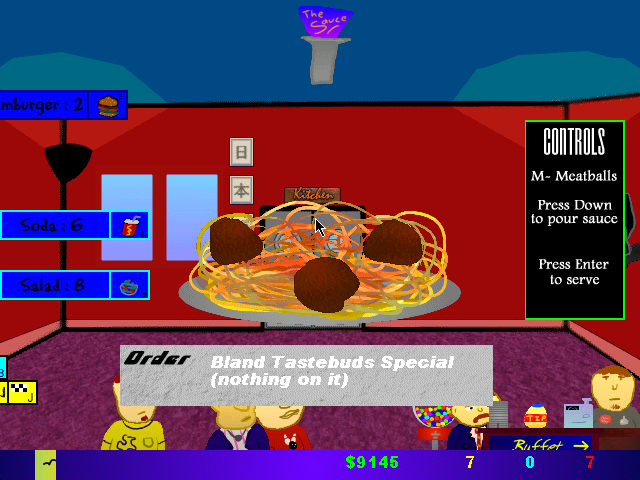 So, I made a fan game using the original sprites of ONR, where you must buy foods for your restaurant and serve them to customers perfectly before they left angrily. Later on I made a brand new game, ONR2, with new challenges and features, such as Iron Cook and more foods and items to buy.